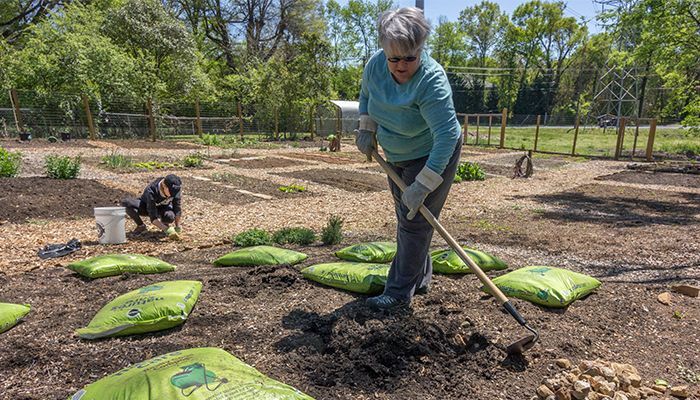 Karen Martin, left, and Karen Broome remove rocks and lay down fresh soil on their shared plot at the Dilworth Community Garden in Charlotte. 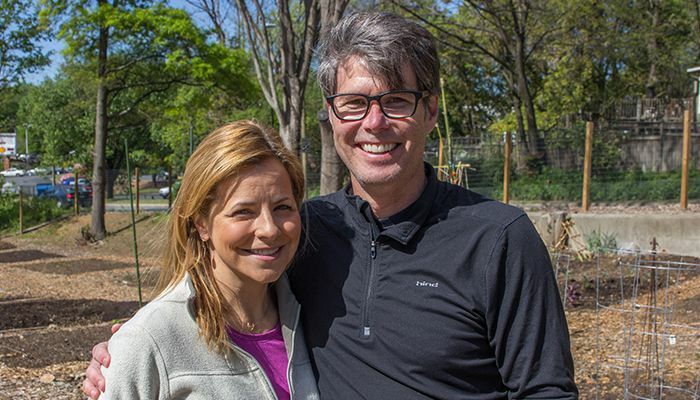 Julie Nofsinger, Dilworth Community Garden founder, and her husband, Bruce Nofsinger, at the Dilworth Community Garden. 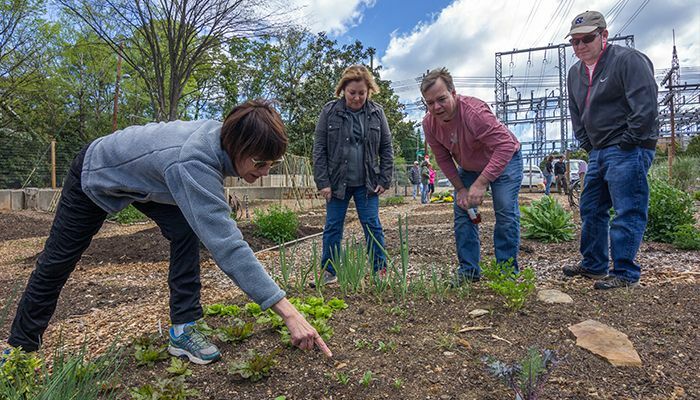 Julie Nofsinger, from left, Kelly Platt of Avondale Church, and Bruce Nofsinger at Dilworth Community Garden in Charlotte. Suzi Rosen, from left, Cindy McKenzie, Robert Suydam and Andrew Patterson inspect the growth progress of a Dilworth Community Garden plot. 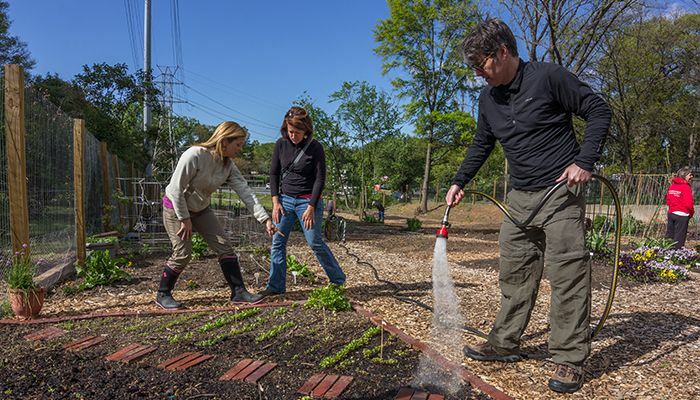 Robert Suydam, from left, Julie Nofsinger and Angela Henderson at Dilworth Community Garden. 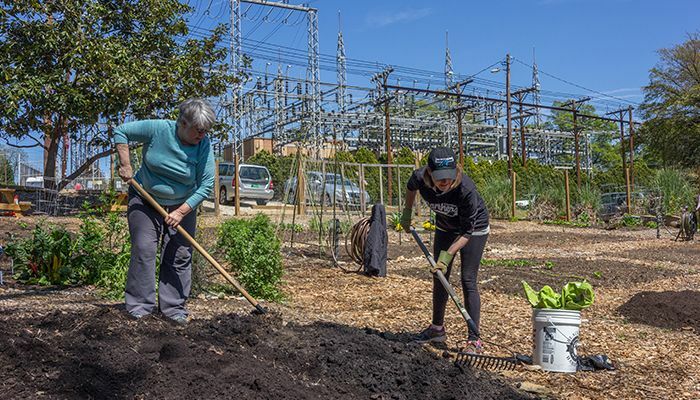 Karen Broome, left, and Karen Martin remove rocks and lay down fresh soil on their shared plot at the Dilworth Community Garden. Some plots at Dilworth Community Garden in Charlotte got off to a good start. Duke Energy operates more than 3,200 electrical substations in six states. But only one has a community garden. 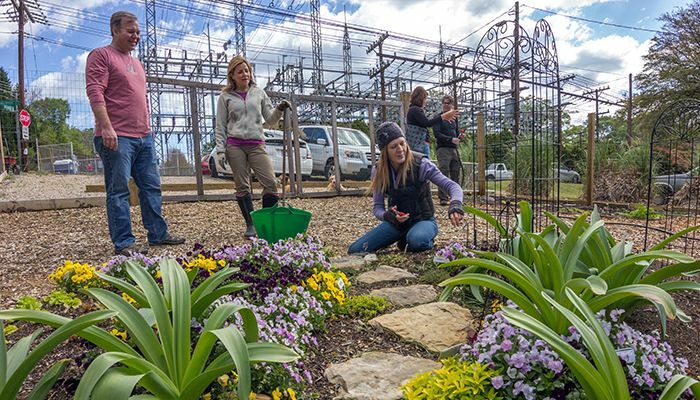 Underneath a large transmission power line at the sunny Kenilworth Substation in Charlotte, N.C., the typical warm-weather harvest may include tomatoes, peppers, squash and cucumbers. It’s a nice outlet for neighbors, whose shady yards made growing vegetables difficult. The origin of the garden came from Julie Nofsinger, who wrote an email to the Duke Energy Real Estate mailbox three years ago. She was hoping someone would be intrigued. Keith McGuinness, a senior land strategist for the company, was that someone. The property was part of a real estate acquisition in 2008 that gave the company more land around the substation and transmission lines. The company had no plans for the 0.22 acres the garden group wanted to use. The three-year lag between Nofsinger’s email and the beginning of the garden was a matter of getting buy-in from all parties. 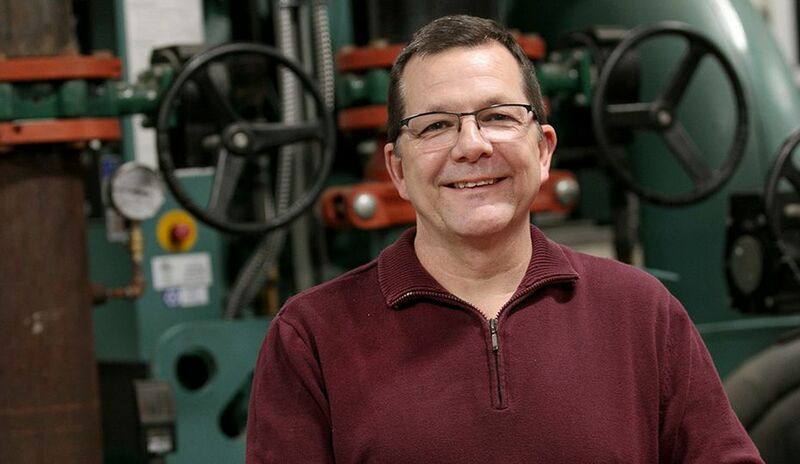 Nofsinger credits McGuinness for keeping the ball rolling. “Keith was like a psychologist during the process. He checked in numerous times and was always supportive of keeping the project moving forward,” she said. 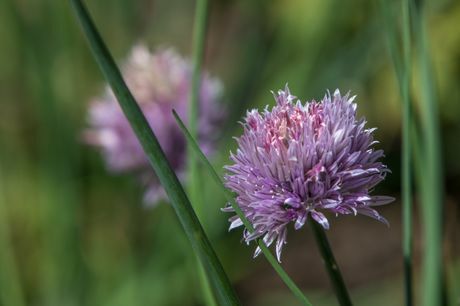 A spring onion blossoms at Dilworth Community Garden. Being in a visible part of town hasn’t hurt the project either. Nofsinger remembers when someone drove by and gave her $20 to support the garden. McGuinness says he hopes the company can work with other community groups on similar projects. That opinion is shared by Kris Vogel, senior land representative, who crafted the licensing agreement for the company. In addition to a shot of goodwill, Duke Energy also benefited when the group cleared the underbrush around the site. The clearing work reduces Duke Energy landscaping burden in the area. Start with good soil. The Dilworth community gardeners had good topsoil, and they improved it by adding compost . Use what you have. The mulch in the Dilworth garden came from the trees, brush and vines the group cut down. Save what you can. The crew saved every hardwood tree but one diseased black walnut. They offered the wood to a wood turner. 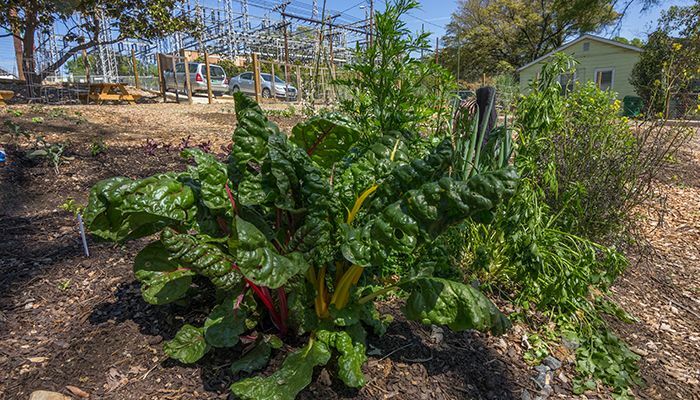 You can read more about the community garden in this Charlotte Observer article.